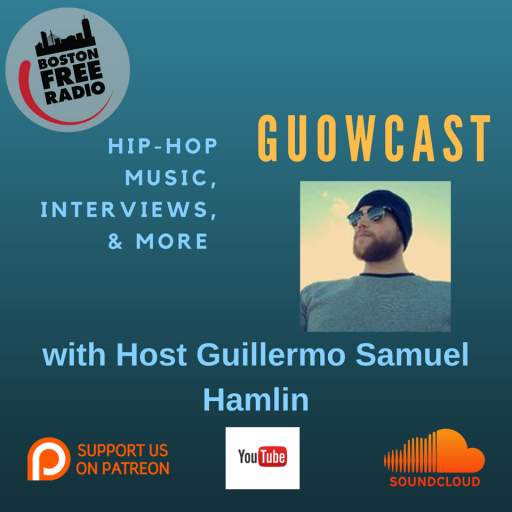 ABOUT GUOWCAST: Boston Free Radio presents GUOWCAST, an online radio program with Host Guillermo Samuel Hamlin. We release fire hip-hop tracks, explore the majesty of cyberspace (so you don’t have to) while waxing philosophical with guests ranging from; rappers, academics, & politicians. Tune in to the Guowcast, LIVE on Boston Free Radio Saturday afternoons from 3pm-4pm. You may also download our podcast on Patreon, listen on Soundcloud, & watch our live feeds on YouTube & Facebook Live.